 A first novel, written as a memoir, about Cherokee women in Oklahoma who long ago abandoned moccasins for high heels and city life. 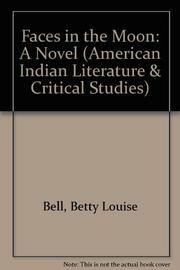 Bell, herself a mixed-blood Cherokee from Oklahoma, teaches the first Native American literature course to be offered at Harvard. Narrator Lucie, now returned from California to visit her dying mother, recalls ``the secret society of Indian women, meeting around the kitchen table in a conspiracy to bring the past into the present.'' While her five-foot, 300-pound, thrice-married mother, Gracie, lies under an IV feeder in Oklahoma State Indian Hospital, Lucie visits Gracie's house, where all the lampshades and furniture are still wrapped in cellophane and plastic and a pair of ceramic Dalmatians stand guard on either side of the television. Gracie's cupboard holds an overwhelming cache of tinned Vienna sausages, Spam, macaroni and cheese, and tuna, testifying to her long years living on nothing and an unshakable fear of starving. Among the three generations of Indian women Lucie recalls are her maternal aunt Auney, who, with Gracie, sought the good times beyond Indian Territory, and her severe, full-blooded great-aunt Lizzie, to whose farm she is sent to live when Gracie's alcoholic husband, J.D., demands she get rid of the ``Injun brat.'' Alcohol makes a hell of all of Gracie's marriages, which are ties made and broken without binding legalities. Bitter-tongued Gracie forever calls Lucie little Miss Perfect, seeing the child as a moral barometer of her own flaws. Lucie's farm summer blooms vividly until a fat, sloppy woman, whining and crying in a muumuu, arrives to pick her up: her mother, whose embarrassingly bad paint-by-numbers landscapes, tatty embroidery, and deadly letters in third-grade spelling add up to a memorable portrait. Snappy, lively pages, often lyrical. Top-flight dialogue.